FREE within the United States! Expect custom knives to take 3-4 weeks to ship. If you are in a hurry, consider an inventory knife which ships within 7 business days after payment. If you are designing your own custom blade grind with me, there may be an extended waiting period depending on the individual project. For more information about designing your custom blade, contact me at davy@hook-knives.com. *Note: There are so many handle options and I can only list a small fraction of them in my Handle Materials site. If you have seen a handle in my Gallery, have an idea of your own, or are interested in other handles such as Kirinite, micarta, glow materials, or G10, please e-mail me and I will be happy to work with you to the best of my abilities. I also love doing extra personalized work such as using antler or bone from your deer or elk in the handle. Realize, however, that I have to take such projects one at a time and I cannot guarantee that your antler will be large enough, straight enough, or hard enough for a handle. Again, please contact me about it. 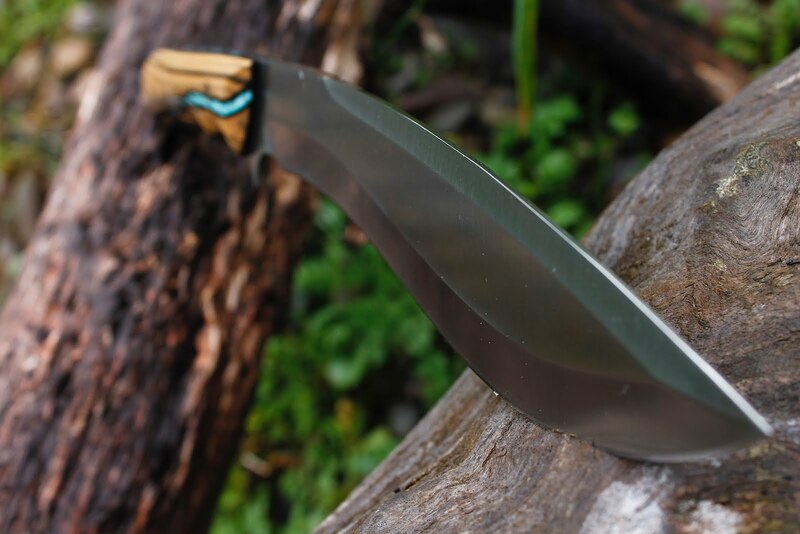 My email is davy@hook-knives.com.